Sharon Moore is a writer and freelance editor who lives on a farm in southern Tasmania, where she communes with the wildlife, farm animals, the bush and the sea. She is the author of The Sea Pool, an environmental mystery novel set in Tasmania, and southern NSW. The Trees of Antarctica, Illustrated version: stART Books, Melbourne, 2007. Abridged version published in Island Magazine no. 101, Winter 2007. ‘Water and the Mountain’, Famous Reporter no. 36, Feb. 2008. 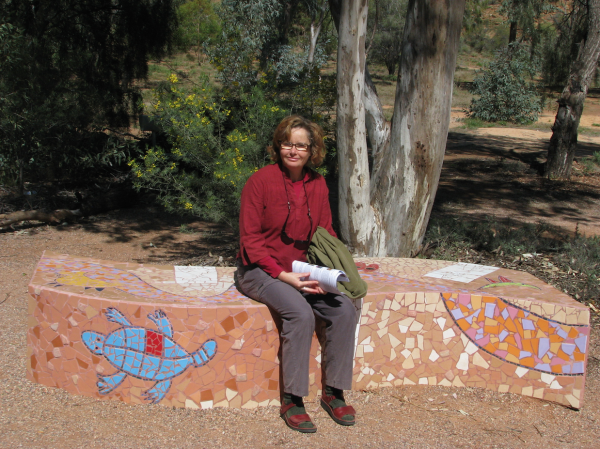 Standing Strong – Stories of Courage and Activism, co-editor, Tasmanian Greens, 2007. The Sea Pool, In a Word, 2015. Apart from being very easy to read I couldn’t put The Sea Pool down as I kept wanting to know what had happened; a sure sign of a good book. You have done a remarkable job and it is hard to believe that this is your first novel. Through my psychologist eyes I was so impressed with the multi-layered structure of the plot. What rang true to me was, that the lives of many individuals whom I have seen over the years, are so often shaped in exactly the way that you write, with layer upon layer of seemingly coincidental events that, despite their seeming randomness, have a compelling fateful order about them. The whole structure of the book is great and I marvel at how you must have held it in your head and then managed to get it down on paper, I’m sure a lot of hard work was involved. Dr Peter O’Connor, author of Facing the Fifties: From Denial to Reflection.